Jacqui is ranked as a leading mediator by both Legal 500 and Chambers. Legal 500 – “One of the elite mediators for property disputes … one of the best mediators around … she has a wry sense of humour and a gentle, disarming way of goading reluctant parties towards a settlement that is in their common interest”. 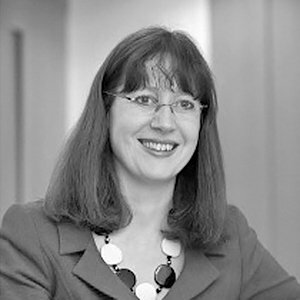 Jacqui qualified as a solicitor in 1991 and was a property litigator for over 20 years, firstly at Lovells and subsequently as a partner at Thomas Eggar LLP. She was a solicitor with Higher Rights of Audience. Jacqui has experience of all types of disputes and court procedures up to the House of Lords and has acted in several reported cases. Jacqui is a member of the Property Litigation Association Law Reform Committee, having chaired it for 6 years and is a past Chair of the Property Litigation Association. She was the main champion of the development of the Dilapidations Protocol, liaising for over 10 years with the RICS, the Civil Justice Council and the Rules Committee. The Protocol is widely regarded as having improved pre action behaviour by parties to dilapidations disputes enabling early settlement. She has been an advisor to the Law Commission on changes to the law of forfeiture and an advisor to the Government panel reviewing the changes to the Landlord and Tenant Act 1954 and alienation. Jacqui is the author of Business Tenancies: The New Law – A Practical Guide to the Changes to the Landlord and Tenant Act 1954 and has had many articles published in property and other leading journals. She regularly lectures on property matters and on mediation/ADR including at Property Bar Association conference 2012. Jacqui was described by the Estates Gazette as one of the property world’s leading professional advisers and is a past finalist for Women In the City – Woman of Achievement Award.